Journal Prompt: Today your journal will be hijacked!! Today you will give up control of your journal and let someone else create a page for you!! This prompt came to me when I was letting Amelia hold my new crayon sticks from Target's Kid Made Modern line. She was flopping them around and I decided to put my journal up to the crayon and let her scribble on a page in my journal . After she did this for a few minutes, with different colors, I began to get super sentimental. 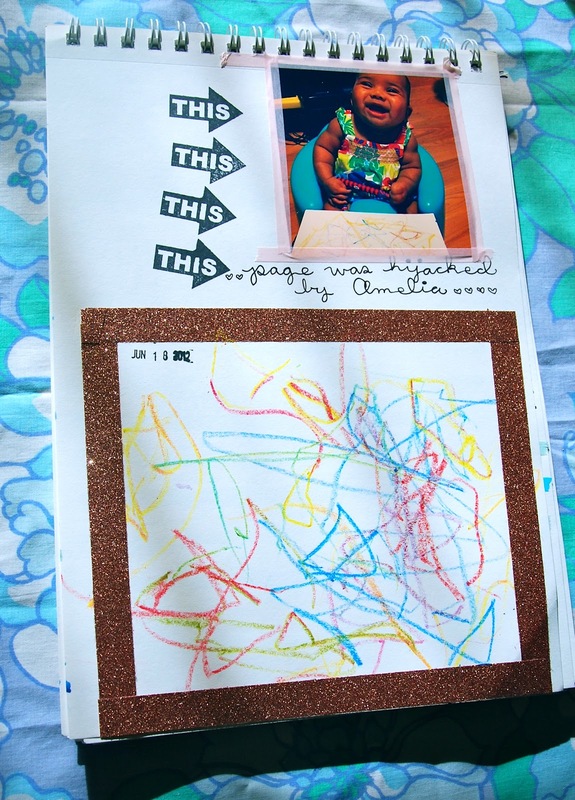 I love that my daughter is creating art already at 3 months!! 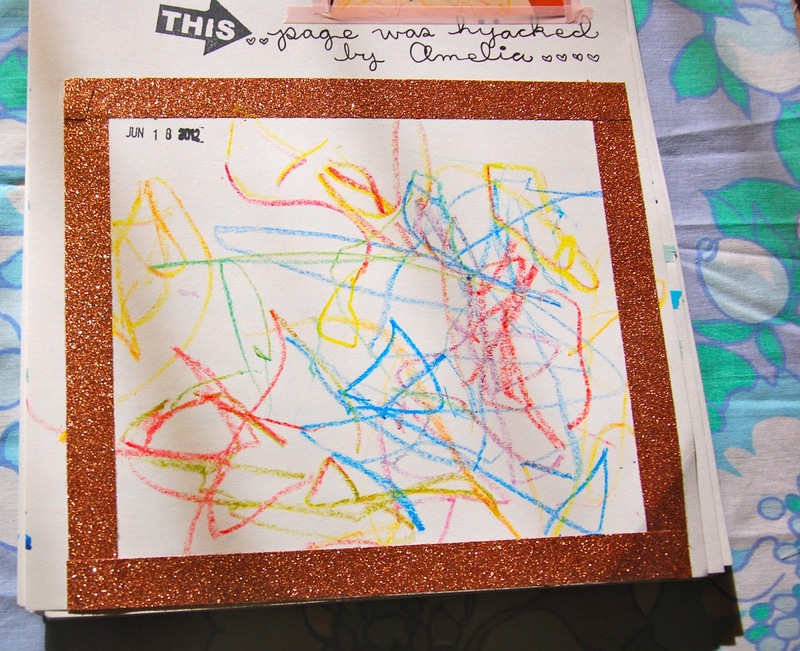 This was definitely something that I wanted to treasure in my journal so I decided to create a page around it :) I added a little photo that my husband took of her coloring that shows just how much fun we were having together. This may be my newest favorite page!! Let someone hijack your journal today, your child, husband, boyfriend, girlfriend, best friend, dog, cat, anyone!!! My teenage daughter hijacked my page today and I love the results! This is soooo sweet, love how it turned out. Great idea for a prompt, I'm having fun with these! !